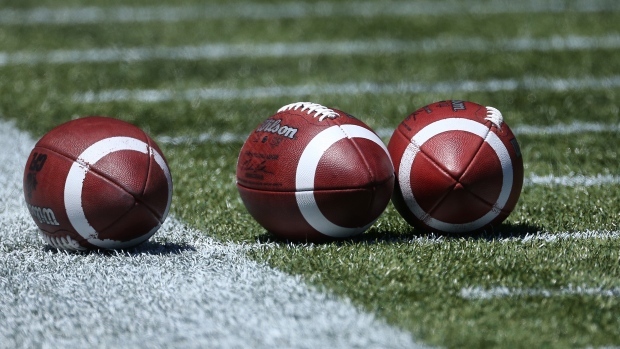 Four more players were invited to the CFL National Combine from the second of three regional combines in Montreal on Wednesday. Defensive lineman Jean-Samuel Blanc, Anthony Coady, receiver Mikhail Davidson, and running back William Langlais were extended invitations to display their athletic abilities in front of CFL scouts, coaches, and management in Toronto this weekend. University of Montreal defensive lineman, defensive back Jean-Samuel Blanc showed off his agility by running the second fastest 40-yard time among linemen with a time of 5.08 seconds. In the three-cone drill, Blanc also ran the fastest time among all linemen with a time of 7.42 seconds. Joining Blanc from University of Montreal is defensive back, Anthony Coady. The Montreal, Que native recorded the second fastest 3-cone drill time of 7.02 seconds on the day. The RSEQ all-star followed that up by testing a time of 4.13 seconds in the shuttle, good enough for the fourth best time of the day. The University of Montreal added a third participant to the National Combine, receiver Mikhail Davidson from Montreal, Que. Davidson ran his 40-yard dash in a time of 4.59 seconds, the third fastest time recorded at the combine and the second fastest three-cone drill time among receivers with a time of 7.23 seconds. Sherbrooke Vert et Or running back William Langlais ran the fastest shuttle time at the combine with a time of 4.08 seconds. The Gatineau, Que native also completed 15 bench reps and ran a 40-yard time of 4.71 seconds. A total of eight players have been added to the National CFL Combine roster from the two regional combines in Edmonton and Montreal.